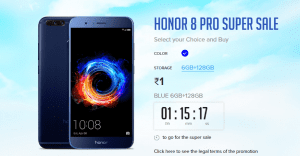 Honor 8 Pro Flash Sale – Hello Guys, There will be a Flash Sale From Honor at 3PM today Where Honor will Offer Honor 8Pro worth Rs. 29999 at Just Rs.1 to Some users. The Sale will Start at 3.00PM on 7th August i.e Today. So Get ready to Your PC at 2.58 And Instantly Load Phone to Cart to loot This Deal. 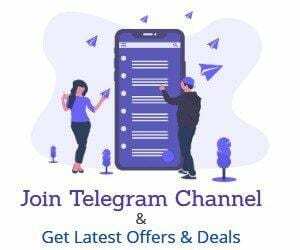 This Will be A Flash Sale so Not Everyone will Win The Smartphone Only First some user will Get This Product So make Sure Your Internet Connection is fast & you have Set Remainder at 2.55 PM Subscribe to Push We will Also Send a Push Notification. Register or Login to Your Account & Save Address. Tip- ready with your Account & Address Before Sale. Now Pay Using Suitable Method & Confirm the Order. Once the order is Placed You will get it to Your Home Soon.